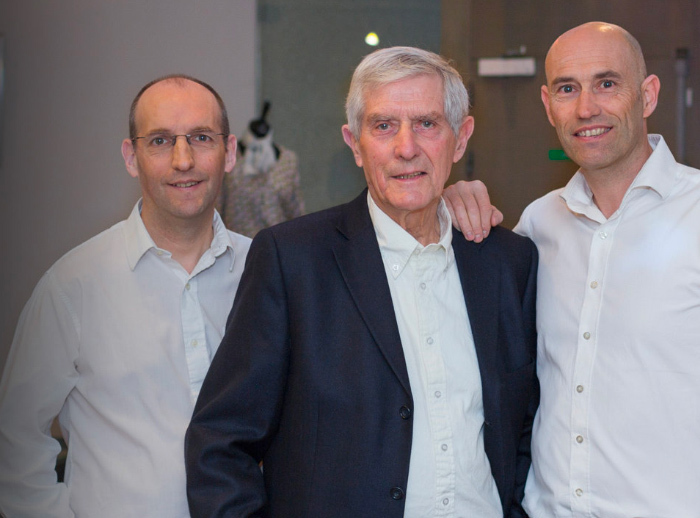 Maison Malfroy’s factory outlet is open two days a week to private customers, monday and Friday from 10am to 6pm. The store offers a wide range of fashion accessories. The store, located 10 minutes from Lyon, close to the Auchan shopping centre – Saint Genis 2, will give you a warm welcome throughout the year. The store is closed in August and on bank holidays. The private car park is at the back, behind the building. No time to come and visit ? 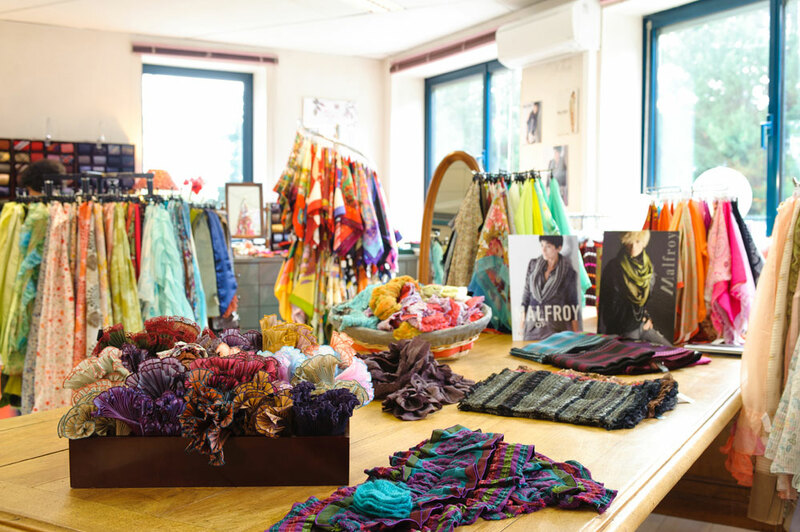 The store offers a wide range of fashion accessories including stoles and scarves made from silk muslin, plain, shaded or printed, perhaps embellished with trimmings, quilted satin necklets, metallised linen scarves, wools and cashmeres in subtle tones, not forgetting timeless silk square scarves, the essential souvenir from Lyon, home of the silk industry. 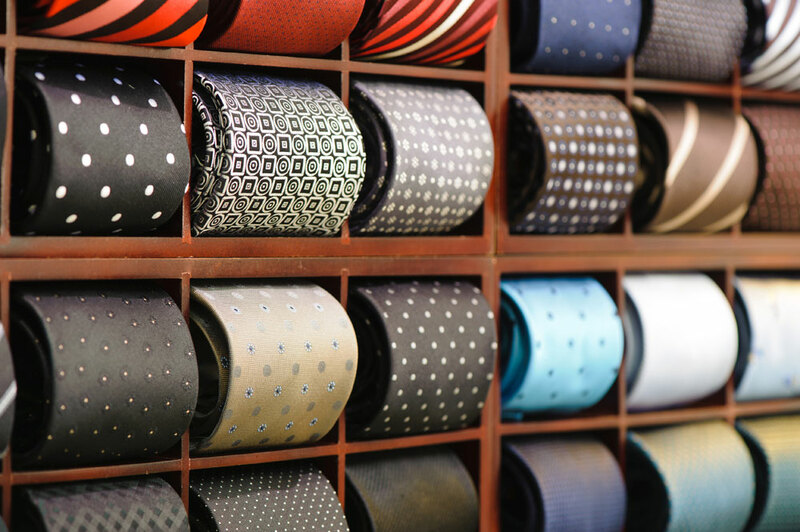 Our store also offers a wide selection of silk ties and high quality scarves for men. 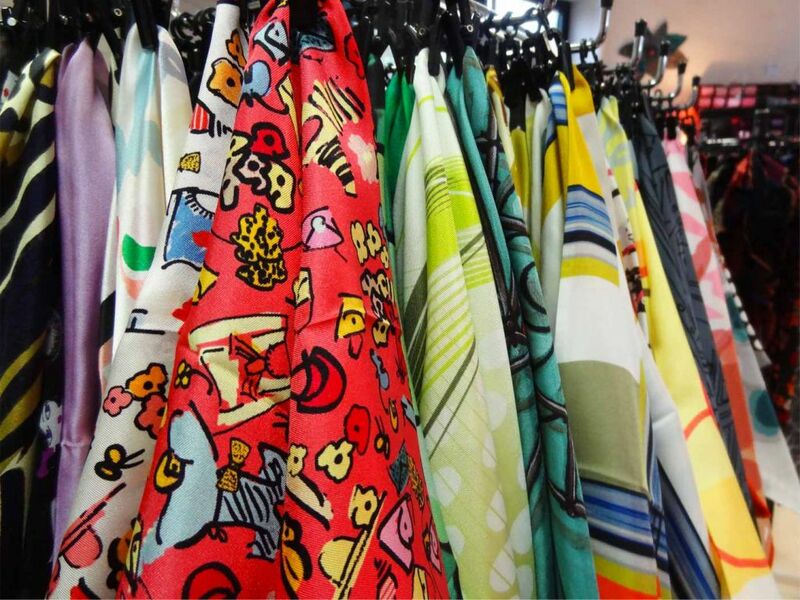 You will also be able to purchase fabric by the metre with our sales assistant there to help you find the most suitable fabrics for your creations. Our permanent range includes muslins, satins, organza, taffeta, crepe, velvet, wool and other plain weaves. You’ll discover lightweight fabrics that are embellished, embroidered, pleated, flocked or metallised, perfect for creating a blouse or dress, more structured weaves for skirts or trousers, or warm padded fabrics essential for making jackets and coats, and even curtains, cushions and throws. 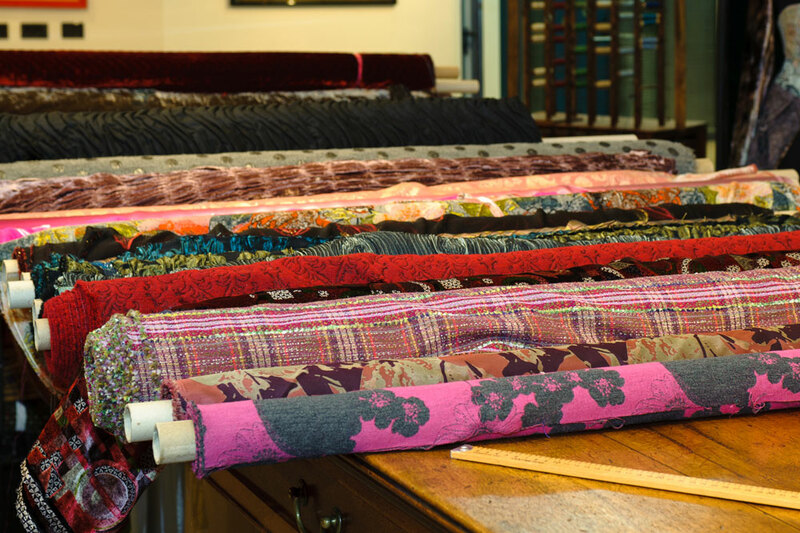 Malfroy has strived to sustain and build upon the very essence of the Lyon silk industry for 3 generations through its collections of fabrics and accessories. You can also meet us at various public trade fairs.